Watches with two time zones, also known as dual time watches, are quite practical when traveling. You can tell the local time as well as the time in you home time zone. A dual time feature is one of the most popular watch complications. A dual time watch is understood to be a timepiece with two full dials, each with its own hour and minute hands. The second dial can be a small, integrated subdial, such as the Rolex Cellini Dual Time. There's also two large time displays on the same dial. Cartier has a few watches with double dials like these available. You can also group watches with an additional hour hand in the same category when following a looser definition of the term dual time watch. It rotates with half the speed of the main hour hand. It makes only one rotation per day. The point of the extra hand is to display the second time zone on a 24-hour scale. This is the same concept found on the Ingenieur Dual Time by IWC. Other manufacturers rely on other methods to display a second time zone. The Ulysse Nardin Dual Time uses a window at nine o'clock that looks like a common date display at first. However, it displays the hour in the second time zone via a numeral. The term Dual Time is written on the bottom of the dial. The numbers on the disc behind the hour window go up to 24. A date display window is located at 2 o'clock. Ulysse Nardin also offers these features in a square case, the Quadrato Dual Time. Vacheron Constantin forges their own path with the Overseas Dual Time. There's a subdial with an hour hand for the second time zone at six o'clock. The hand moves at a normal tempo, making two full rotations per day. In order to determine if it's 10 AM or 10 PM in the second time zone, there is another small display next to the subdial. It points to the Sun or Moon depending on the time of day. 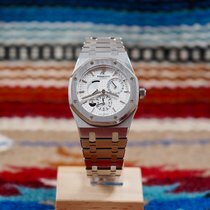 The Royal Oak Dual Time from Audemars Piguet has a timepiece with a comparable day/night display and second time zone subdial at six o'clock. The subdial features an hour and a minute hand, unlike the Vacheron Constantin Overseas Dual Time and similar to the Rolex Cellini Dual Time. The Royal Oak remains true to its iconic look even in this dual time version; it retains its famous porthole design by Gérald Genta. The traditional Swiss manufacturers Breguet and Blancpain, both founded in the 18th century, also offer watches with dual time displays. You can find most of Breguet's dual time watches in their Marine collection. Breguet goes their own way in designs, too. The subdial for other time zones is located at six o'clock and has a hand for hours and minutes, similar to the Rolex Cellini and Audemars Piguet Royal Oak. Therefore, you also have the problem of not knowing whether it's day or night in the second time zone. Breguet solved this problem by adding a second small subdial at two o'clock which serves as a 24-hour display. The hand starts at midnight, which is positioned at six o'clock on the subdial. After half a day, it's at the 12 o'clock position, representing 12 PM. From there on, it slowly returns to its position at six o'clock. Blancpain, on the other hand, uses a subdial under 12 o'clock with an hour and minute hand on their dual time watches in the Leman series. There's also a window at nine o'clock where you see a symbol representing either the day or night sky. One of the German competitors in the upper price segment, A. Lange & Söhne from Glashütte, offer the Saxonia Dual Time. It has a second central hour hand for the additional time zone. However, when left unactivated, the second hand isn't visible; it hides behind the golden main hand. Once activated, however, the blued steel hand shows itself. A. Lange & Söhne combine this display with a 24-hour hand on a subdial at 12 o'clock. Unlike the Breguet watches, midnight is located at the 12 o'clock position, while 12 PM is located at the six o'clock position. Montblanc uses a similar design for their dual time models in the Heritage Chronométrie serise. The 24-hour subdial is located on the upper side of the dial. Additionally, there's a second central hour hand running at a normal tempo. How much does a watch with two time zones cost? The Montblanc Heritage Chronometrie is a relatively affordable entry-level dual time mechanical watch. It costs around 2,500 euros new. The Baume & Mercier Clifton with a dual time complication is also in this price range. It's a simple dress watch with an additional 24-hour central hand and a corresponding scale on the outer edge of the dial, comparable to a GMT watch. 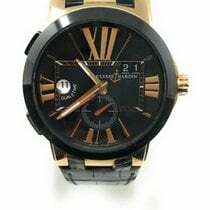 You can find a dual time watch from Ulysse Nardin at a wide variety of prices, as they produce many of these types of watches. For example, a new stainless steel Dual Time Executive costs around 5,000 euros, while the Quadrato Dual Time in white or rose gold costs ten times that. 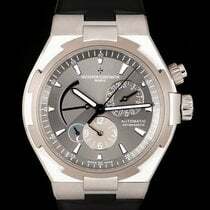 You should plan on spending around 14,000 euros for a new stainless steel Vacheron Constantin Overseas Dual Time. At 35,000 euros, the gold model costs significantly more. A Rolex Cellini Dual Time also costs around 14,000 euros. You have the choice of an Everose or white gold case. A gold Dual Time version of the Royal Oak, Audemars Piguet's most iconic watch, costs around 25,000 euros. The Flyback Chronograph from Richard Mille in rose gold or titanium is one of the most expensive dual time watches, costing around 130,000 euros. Time zones are a human construct resulting from technological progress in the 19th century. For the first time in history, people and information could quickly traverse across long distances thanks to railroads and the telegraph. These innovations required societies to agree on a standard time so they could plan things such as train timetables. A universally applicable time signal could be sent via a telegraph. Up until then, it was usual for each city to determine their own local time based on the schedule of the sun. Our modern time zones were set at an international conference in Washington, DC, in 1884. The prime meridian, which passes through Greenwich, London was determined as the common zero of longitude and standard of time worldwide. The conference was hosted by then-president Chester A. Arther. American westward expansion and the completion of the railroad from the Atlantic to the Pacific in May 1869 made it clear that a time zone system was necessary. In Germany, Central European Time (CET) has been the lawful standard since 1893. France stuck to their own Parisian time, which was nine minutes ahead of CET, until 1911. If you want to keep an eye on more than two time zones at once, then a world time watch is the solution. 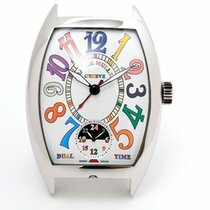 These sorts of watches have a dial with 24 names of cities or islands that represent their respective time zone. Instead of an extra hand, the movement rotates a disk that also forms the edge of the dial. GMT watches are more similar to dual time watches, as they also offer a second time zone. However, GMT watches don't use an additional dial, but rather a second central hour hand. The Rolex GMT-Master II is a good representative of this type of watch.